Everyone wants to hold a memorable Valentine’s Day withspecial someone. I bet you already have with you in mind the things to do this Valentine’s Day and you are doing this extra special. In case you are still clueless on what to do on this special event, try dining in a place where the light is slightly dark and candles are all around. No, it’s not a cemetery, but a place to go when you would like to have the most romantic date ever. With the help of music that is enough to give an atmosphere suitable for you to propose or say the things that you would like to express to your special someone, you will probably end up successful with your date. Wear your best attire during the event and do not forget to put on the perfume that he or she likes to smell to add a lasting impression. Request for the music that you would like the musicians to play beside you while doing the climax of your date and you will certainly gather enough courage to express what you would like to express. You experience challenges when asking for someone to date since she might be busy during that time or there are other daters who would like to be with her during the day that is why as much as possible, make reservations or ask her earlier so that she will have an ample amount of time to decide whether to accept or reject your invitation. Do not feel bad when rejected - that is just part of the process. When you would like to propose for a wedding during your Valentine’s date, you have to coordinate with people to do this for you. You will have to prepare enough funds for this and your time of preparation should be long enough to tackle all the things that you need to tackle. 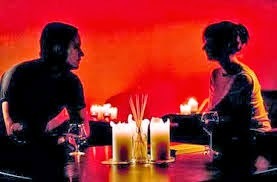 If you will do this while the light is off and the candle is on, there is a very romantic approach that will be done. You will have more chances of being approved because of what you did to get her heart closer to yours.